On average, you will spend 2400 hours a year in bed. Laying in bed takes up a good chunk of your life. Not only that, your bed can have a huge impact on your health. It has been shown that when you get better sleep, you tend to have less stress. You will be more productive throughout the day and be overall happier. Sleeping on a bad mattress can have negative effects on your health and life. A bad bed can cause you pain. Depending on how you sleep, you can develop back pain or other pain throughout your body due to your mattress. Old mattresses can also be a big cause for allergies and bed bugs. If you find yourself dealing with these issues, it is probably a good time to look for a new mattress. Don't Let Your Back Keep You From Getting A Good Nights Sleep. . .
Everyone has their own idea of what a good mattress is. Ultimately it comes down to what is most comfortable for you. There are many different aspects of a bed that you should look at before you decide to buy one. When you are first looking to purchase a new mattress, you must decide what type of mattress you want. You have probably heard about most of the types such as innerspring mattress and memory foam mattresses. Each type of mattress has their pros and cons. The different types of mattresses also vary greatly in price. 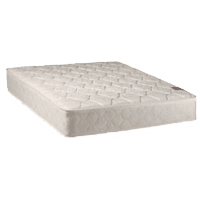 Mattresses come in a variety of different firmness’s. Some people prefer really soft beds. Other people enjoy more firm or harder beds. For the most part, it comes down to what you prefer. However, the correct firmness of a bed should be whichever gives you the right amount of support while keeping your spine aligned in a straight line. Depending on how you sleep and how your body is, you will need to find a firmness that works for you. A bed that is too soft may feel good at first. In the long run, by not having enough support of your lower back, you will most likely develop body stiffness and back pain. A mattress that is too firm can be just as bad as one that is too soft. A mattress that is too firm will create high pressure areas against your body. This will cause you to toss and turn. This uneven support can also cause discomfort and pain. The comfort level of a mattress comes down to purely personal preferences. What may feel comfortable for one person could feel awful for another. When shopping for a new mattress the best way to see if a mattress is comfortable is to try it out. If you have a mattress store close by, go down and test out some of the beds. That will give you a good feel of what works for you. There are many companies that sell online which make is very easy to try out a bed. Companies like Intellibed offer comfort guarantees. If you don’t like it, you can send it back no questions asked. Mattress construction has improved greatly throughout the years. Now a days, most beds are built to last a lifetime. When looking to purchase a new bed, you should always look at their warranties. Most good companies will offer a 10 to 20 year warranty. You want to make sure that they will hold up to the test of time. Even if a mattress has more than a 20 year warranty, you may want to look at buying a new one when that time comes around. Your body is in constant change. A bed that works for you now may not be what you need in 20 years. Don’t’ let that make you cheap out on a mattress either though. You get what you pay for. Memory foam mattresses, also known as visco elastic foam mattresses, are made up of different types, densities and thicknesses of foam. Typically high density polyurethane foam is used for this. The foam is designed to mold to your body and provide better support. These types of mattresses typically have less spring and movement. This is a benefit because you can move around and not disturber anyone else that is sleeping in the bed. The foam is designed to react to temperature so when your body warms it up, it will mold to the contour of your body. Latex mattresses are similar to memory foam. They are constructed using a latex foam which can be made with plant based or petroleum based materials. Latex beds are considered very durable beds. They offer great support while still being bouncy. 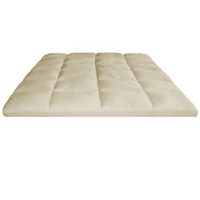 The combination of support and comfort make latex mattresses great for back pain relief. Latex mattress have other great benefits. Natural latex is mold resistant and antimicrobial. They are also naturally resistant to dust mites. 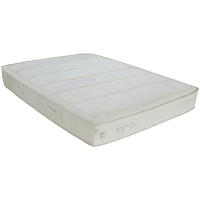 If you are looking for an eco-friendly mattress solution, latex mattresses are some of the best. Most latex can be constructed using very sustainable materials with little to no chemicals needed. 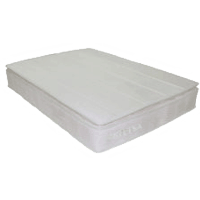 Gel mattresses are similar to memory foam but with a gel infused into it. These types of mattresses offer greater comfort and support. The big difference between these and standard memory foam mattresses is that the gel mattresses feel softer while still providing the same if not better support level of standard memory foam mattresses. 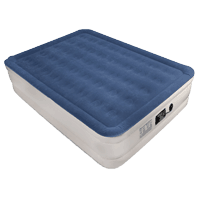 Innerspring mattresses are the most common types around. These are your every day mattresses that you probably grew up with. Innerspring mattresses are constructed with a combination of padding layers and metal coils which create the support system. There are several different types of springs but they all serve the same purpose. One of the best thing about these mattresses are that they are affordable. You can usually find an innerspring mattress for a low price. However, as far as comfort, they are not always the greatest. If you tend to be a side sleeper, you may want to look into other types of mattresses like foam or gel mattresses. They will be able to provide better support for your body and reduce the stress on your body. Inner springs also wear faster than other types of beds. The springs in the mattress will eventually lose their support and compress. This will cause the mattress to dip. A spring mattress can last you for 5 to 10 years before you would need to start looking to replace it. Spring mattresses tend to be good for people that are overweight. They tend to be easier to get in and out of and typically offer a firmer support. The springs will wear out faster with the increased weight however. Mattress toppers are not full mattresses but are designed to help improve the comfort of your mattress. These are great if you have an old mattress and just can’t afford to buy a completely new one. 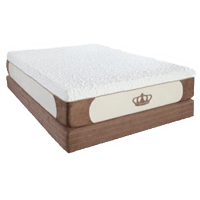 Toppers are great for changing the firmness of your bed or trying to improve the amount of support your mattress gives your body. There are many different types of mattress toppers ranging from memory foam mattress toppers, gel toppers, latex toppers, feather toppers, and wool mattress toppers. Each type has their advantages and disadvantages. The thickness of the topper will also have an effect on how they feel. Mattress toppers are placed on top of your existing mattress. When looking for toppers, you want to make sure that they are the proper fit. Since they are placed on top of your normal mattress, if they are not secured properly, they can slide around or bunch up. An air mattress, or air bed, is a PVC blow-up pad that’s filled with air instead of springs, foam or gel. The best thing about them, over and above how comfortable they are, is their portability. Unlike heavy memory foam or spring mattresses, you can take it anywhere, move it from room to room and store it easily when it’s not being used.